This 84 in. x 52 in. 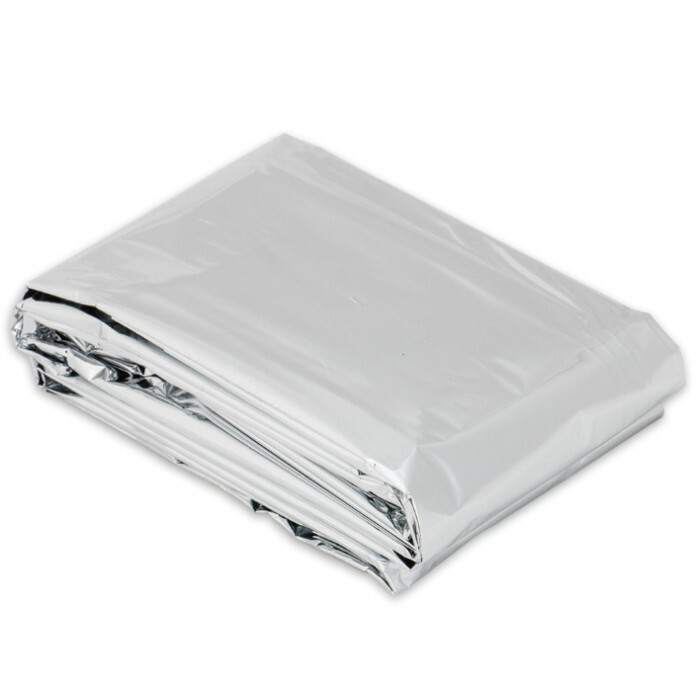 emergency blanket is constructed of polyester material that is 100 percent windproof and waterproof. It reflects up to 90 percent of your body heat back to you. Will not crack, mildew or shrink. It's great for quickly constructing a survival shelter. I love these so much that we carry them in all of our vehicles. I also just purchased 20 more to pass out to the homeless people in the next city over. I bought some of these, because I was thinking, "Meh, two dollars, why not." These are incredible and durable. I was so darn warm when I wrapped myself with one of these late at night outside. Could probably make a warm poncho out of one of these babies. Great quality for only a couple bucks. Get a couple. You never know when you might need them. This is the 4th one I have ordered over the years. I carry one in each of my packs. Nice light weight and takes up little room. got two of these for my pack, nice and compact! I like to put this on the outside, sunward side of a tent to keep the sun OUT of the tent. It easily reduces the interior temperature by 10-15 degrees! I use a glue stick to glue it to a plastic tarp, then tie the tarp to whatever tie-downs the tent offers. 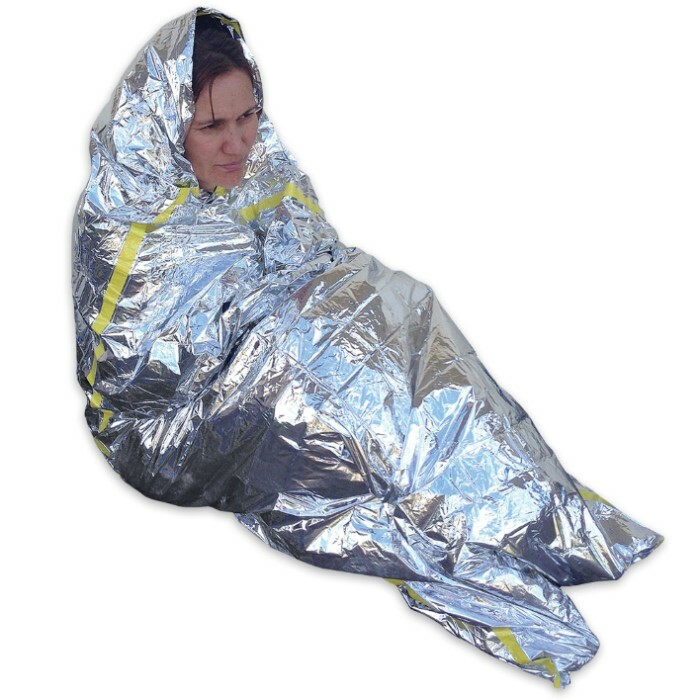 Wearing mine right now in my cold room and I gotta say: I feel like a baked potato. Very small packaging, and very warm blanket. HOWEVER, I feel that this listing should include the little label on the package: Pursuant to California Health & Safety Code Section 25249.6, the Distribution of This Warns You That This Product May Contain Substances Known to *the State of California* to Cause Cancer and/or Reproductive Toxicity. Obviously, this should be taken into consideration. 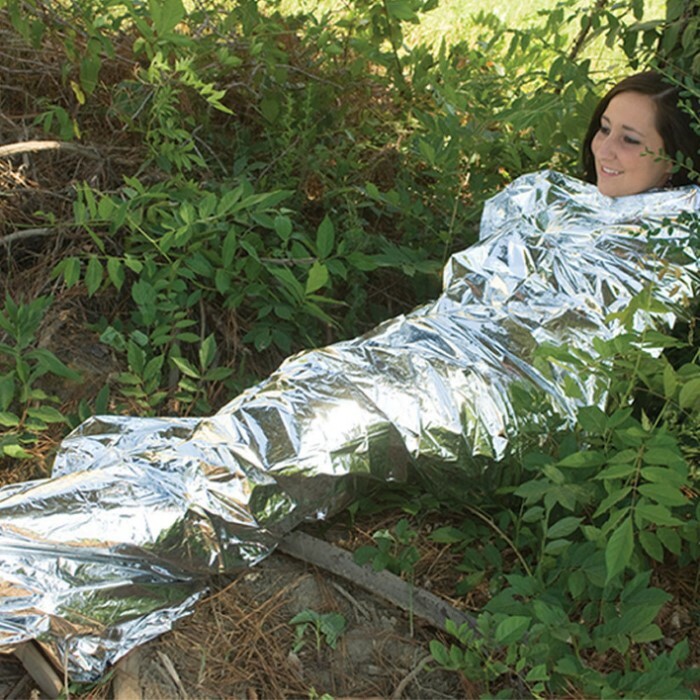 Still, this blanket's main purpose is survival and survival you will get. Besides, may is a strong word.